“Super bacteria” resistant to drugs have been found in the waters where the sailing events of the upcoming 2016 Rio Summer Olympics will be held. It’s the same usually found in hospitals and is very difficult to treat. Micro-organisms werediscoveredby the specialists from the Instituto Oswaldo Cruz, one of the world's main public health research institutions located in Rio de Janeiro. The bug produces enzymes that make the condition resistant to almost all forms of treatment. It was found in three out of five water samples taken along the Carioca River. 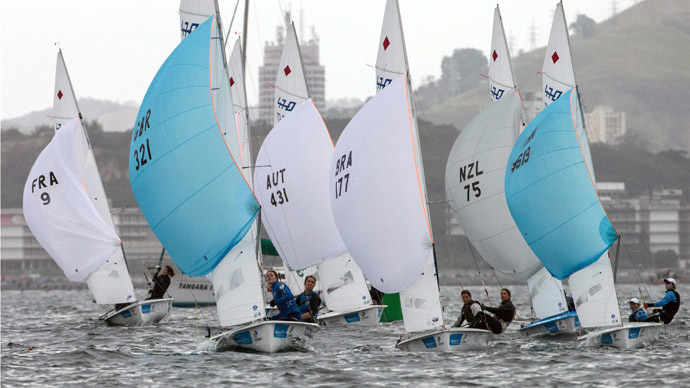 Many 2016 sailing and wind surfing venues are located along the river where it flows into the city's Guanabara Bay. "The illnesses caused by these microorganisms are the same as those caused by common bacteria, but they require stronger antibiotics and, sometimes, can require hospitalization," the study's coordinator, Ana Paula D'Alincourt Carvalho Assef, said in an email to AP. About 70 percent of the sewage in Rio, which has a population of about 10 million people, goes untreated and flows into rivers and the Guanabara Bay, reports say. "Since the super bacteria are resistant to the most modern medications, doctors need to rely on drugs that are rarely used because they are toxic to the organism[of a human being]," she added. Those who come in the contact with the bug may fall ill or become carriers of the infection, the scientists say. "Carriers can take these resistant bacteria back to their own environments and to other people, resulting in a cycle of dissemination," the institute said. A former member of Canada's Olympic sailing team, Ben Remocker, who represents sailors in two disciplines, said the findings are “serious for our athletes." "We're going to be troubled by this," he told AP. "I think the sailors are probably going to cross their fingers they aren't going to get sick." The organizers of Rio Olympics which are to kick off August 2016 declined to comment on the Institute’s findings. Due to mass “demand” in antibiotics, the bugs get so-called antibiotic resistance, when bacteria are able to survive after exposure to one or more drugs. The World Health Organization issued a report in 2014 saying that antibiotic resistance “is now a major threat to public health."